No one plans to chip or break a tooth. When an injury occurs or you break a tooth, effective, efficient correction is desired. 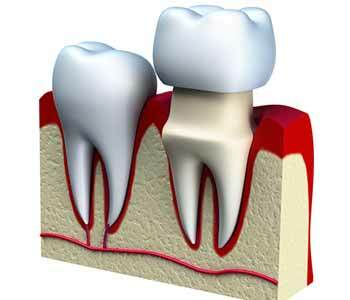 A dental crown restores the appearance and function of a broken tooth. At Bingham-Lester Dentistry, we provide same day dental crowns or CEREC crowns for patients around Crofton and Gambrills, MD. CEREC, which stands for Chairside Economical Restoration of Esthetic Ceramics, was developed in 1980 and put into practice in 1985. CEREC crowns successfully restore broken or chipped teeth. Dentists create restorations in a single dental appointment using in-office CAD/CAM technology and a milling machine. Regardless of type, traditional and CEREC crowns have the same purpose. They are essentially caps that cover, restore, and protect chipped or broken teeth. The difference lies in how they are designed and created. Traditional crowns are usually created using manual impressions of the teeth. These impressions and the dentist’s notes regarding the size, color, and shape of the tooth are sent to an off-site laboratory. When the crown is created off-site, a temporary crown may be placed. Once the permanent crown is completed, it is cemented into place at a later dental visit. CEREC crowns are started, made, and placed in a single office visit. With these same day dental crowns, the patient’s smile is restored in one appointment. This means patients save time and lose less time at work because there is no need to visit the dentist multiple times or wait for a traditional crown to be completed. The dentist uses digital impressions, state-of-the-art CAD technology, and a milling machine to create CEREC crowns in the office. With the digital impressions, the dentist can design a computerized design which can be modified as needed to ensure a natural-looking result. Once the dentist approves the design, the milling machine creates the crown in a few minutes. The crown is bonded to the broken tooth. The entire process is done on the same day without the need to return to the office for a follow-up. No matter which type of crown is used, the cap protects the tooth and restores the smile. Crowns are dental restorations that maintain the health of your mouth. At Bingham-Lester Dentistry, we strive to preserve the natural tooth when possible. Same day dental crowns allow us to restore broken or chipped teeth in an efficient, effective manner. One appointment – CEREC crowns are started, completed, and bonded in a single office visit saving patients time. There is no need to miss additional time from work or school. Patient comfort – Biting into a mold for manual impressions can leave a foul taste in your mouth. Digital impressions are easy and comfortable for patients. Natural-looking result – Advanced CAD technology allows the dentist to create an aesthetically pleasing dental crown. The dentist can tweak the design as necessary to make sure the crown blends naturally with the broken tooth and with the adjacent teeth in size, shape, and color. The end result appears to be a natural tooth. Functional result – Same day CEREC crowns use a single block of ceramic. Ceramic materials mimic the natural tooth in color. The material is also durable and can withstand the functions of a tooth. CEREC restorations are sturdy, less likely to chip and blend with the natural tooth. Cost-effective – Having the CAD technology and milling machine in the office allows the dentist to create a crown in a single visit. There is no need to use an off-site laboratory meaning no added lab fees for patients. Safe – CEREC crowns are made with ceramic materials which are metal-free and biocompatible. They are safe for patients. Conservative – Depending on the patient’s need, it is possible that more of the natural tooth can be preserved during the preparation process with CEREC restorations. 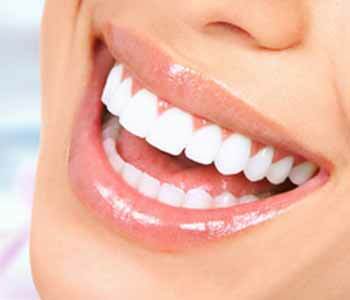 Crowns are dental restorations to address broken teeth. The convenient process and aesthetically-pleasing result are just two of the benefits of using same day dental crowns to maintain the health of your teeth. If trauma occurs, save yourself time and money with quality CEREC crowns.